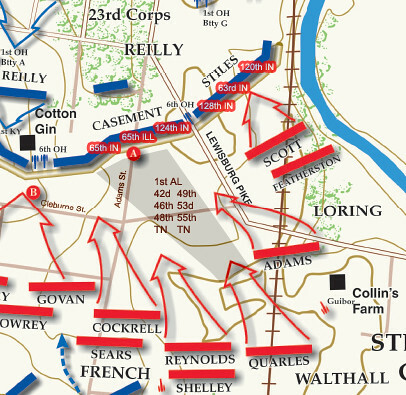 Twenty-five Hours to Tragedy: The Battle of Spring Hill and Operations on November 29, 1864 – Precursor to the Battle of Franklin is a compilation of eyewitness testimony linked by narrative telling the story of the great missed opportunity by the Confederate Army of Tennessee on November 29, 1864. Led by General John Bell Hood, a Confederate envelopment around Columbia, Tennessee left Union Major General John McAllister Schofield’s Fourth and Twenty-third Army corps strung out and beyond supporting distance of their wagon train. One lone division that had been sent to Spring Hill to protect the Union Army’s wagon train found itself confronting nearly 25,000 Confederate soldiers by mid-afternoon. 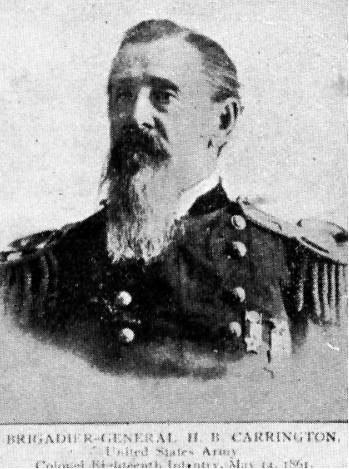 While Union Major General David S. Stanley did all in his power to stop the Confederate attack, it seemed nothing could save them. Suddenly the fog of war set in, and as the sun sank on the western horizon, the Confederate high command found itself paralyzed with inaction, indecision, poor judgment and finally darkness. This maneuver forced General Schofield to conduct a harrowing forced march to Spring Hill past nearly 22,000 highly motivated Rebel soldiers within a few hundred yards of Columbia-Franklin Pike as darkness cloaked the field. While the Federals marched into a set Confederate trap that was never fully sprung, Confederate commanders stumbled through the starlight, and the Union army slipped past the lion’s den. The next day brought about the Battle of Franklin – a direct result of Confederate inaction and miscommunication the night before at Spring Hill. Twenty-five Hours to Tragedy is the largest and most in depth account of the actions that took place at Spring Hill. This account adds more testimony and sheds even greater light on a night filled with confusion and disappointment for the Confederate high command. Told by over one-hundred-and-fifty eyewitness participants, the accounts are linked by narrative that place the reader on the field in the midst of enthusiastic Confederate and anxious Union soldiers. The events of November 29, 1864 sealed the fate of the Confederate Army of Tennessee. Only twenty-five hours after the Confederate Army’s arrival on the battlefield of Spring Hill, the decision to assault the heavily defended fortifications at Franklin was made. It was a decision that would not have to be made had the Confederates followed through with their plans at Spring Hill. Follow the armies in their race to Spring Hill, the combat there and the critical decisions that led to the Federal escape and a total Confederate command breakdown in the most devastating blunder of the American Civil War. What must have it been like to have been able to sit down with a first-hand participant of the Battle of Franklin, within minutes after the battle, and to get his observations? Fortunately, we don’t have to imagine. All we need to do is to read the authentic accounts from those who lived through it themselves to know. One such lucky soldier was Lee Ewing from the 63rd Indiana Infantry. It is these kind of first-hand accounts that far surpass accounts recorded in official reports, newspapers, and post-war recollections (some decades later). 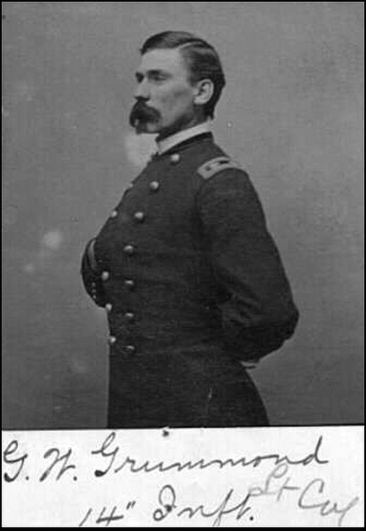 Captain Addison Lee Ewing (Co I, 63rd Indiana) was on the far left Union flank at Franklin, serving in Stiles’ Brigade. I have blogged on Ewing many times in the past. 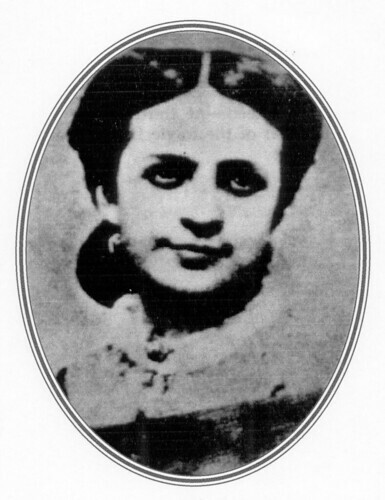 Ewing was from Haubstadt, Indiana – near Evansville – and served throughout the entire war. He kept a personal diary faithfully, recording his observations and reflections every day. He also wrote home a lot. Several years ago I was very fortunate to acquire a large collection of personal letters and documents that belonged to Ewing. I say fortunate, because there were many times when his personal papers and correspondence, that he kept with him while in the field, was nearly lost or destroyed. I have three dozen or so letters by him and numerous documents like muster in/out rolls. I also have a copy of his entire war time diary. His current living descendants have been most gracious and magnanimous in providing me access and info on their ancestor. I have examined and studied Ewing’s diary entries and letter content in which he specifically commented or described what took place at Franklin (30 Nov 1864) from his perspective. For our purposes here I have distilled my comments by using a simple web tool called TagCloud to determine what words (or word clusters) were most prominent in Ewing’s diary and letters as he was commenting on his experience at Franklin. One of the key values of this type of analysis is that it is fresh, unfiltered and as authentic as it gets. Ewing recorded nearly 1,000 words related to his account and observations of the Battle of Franklin. The main word cluster or semantic domain for Ewing was line or works. This makes perfect sense. The 63rd Indiana was on the far left Union flank, as one can see on the map. They were sandwiched between the 128th and 120th Indiana Infantries, respectively. All part of Stiles’ Brigade, these Hoosier boys protected the far left Union flank, buttressed up against the railroad track and the Harpeth River. Stiles’ men would be assaulted by Loring’s Division, hundreds of Confederates from Scott’s and Featherston’s Brigades. Day before yesterday I commenced a letter to you but it was so cold yesterday and this morning that I didn’t get it finished for this morning’s mail. But I have just got yours of Dec 4th and glad to hear from you as I always am, but when the interval between letters gets long as was the case this time I get anxious. You had evidently not got the two or three letters I have written since the Franklin battle. Yes I was there in command of our Brigade skirmish line when the battle commenced. But our Heavenly Father has spared me through another fierce conflict where many fell, more worthy than I. It is impossible for me to give you any real idea of the fierceness of the charge of the Rebbles. Or the gallantry with which it was met by the boys in blue. You will find by perusing my journals many little insights of a soldier’s life which I do not give in letters. I hope you will not give it to others to read and criticize nor criticize it too closely yourself, for I know you will make many allowances when I come to tell you the circumstances under which it was written during a ceaseless nine month’s campaign. I am glad that the poor of Evansville are so well remembered by the farmers of Vanderburgh. I shall always be a friend to the poor. Got the coat and it is generally admired by the Officers for its beauty and fineness, though it doesn’t fit as well as military rules would prescribe. However you can judge some by the enclosed photos how it makes me look. The package sent by Tom I haven’t yet received, but I will get it I suppose. Don’t bother about the gold pen.